RSC will be holding tryouts for full year (fall and spring commitment) travel soccer teams the weeks of April 22nd and April 29th. In general, tryouts will take place in the context of the current team's training schedule. See below for details. RSC USSC Portal Link - Use if you need to Update Any Info for an Existing Registration. 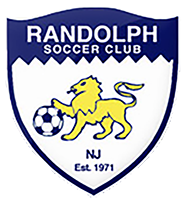 © Randolph Soccer Club. All rights reserved.